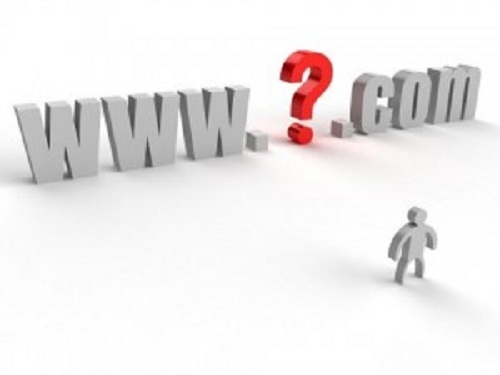 Finding a great domain name for your business or personal brand is never easy, Unfortunately, it is becoming more difficult every day to not only find the domain name that you want, but also to get that name at the price that you want. Know that having a good domain name to represent your business or personal brand is invaluable, but you do not need to go bankrupt just to have it. Put in the work to make sure you are picking the best domain name for your business or brand. Names that exactly match your business or brand name may be out of reach, so work to find a similar name that your customers will recognize that will not cost you a fortune to maintain. It is an investment for your business, however, so there are some exceptions to be made. When you have tried every other option and are still having trouble affording your domain name, use this list of ideas to help you keep your online investment while keeping your business out of financial trouble. Whenever possible, getting as close to the source as you can will help you get the best price. Contact the owner of a domain name that you want directly and try to work with them to get the name for yourself. This will save you middle man fees and help you avoid the hassle of sales pitches from a distributing company. Remember that the owner of this domain name is a businessman/woman just like you. Therefore, they recognize the value in their domain name and want to be reassured that they will benefit from selling the name to you. Make a pitch as to why selling the domain name would be beneficial to the owner to improve your chances of an overall positive interaction. In continuation with the first bit of advice, effectively negotiating with the seller to bring the price down to a reasonable amount will help you get the name within your budget. Look for different angles to work with. Maybe your seller is really set on selling the domain name at a high price, but is willing to lower the monthly fee or even give you full rights to the name without a fee. Find out what is most important to your seller and negotiate around that. Buying the domain name outright is a big investment for any business. Most sellers understand this, but prefer to sell the name all at once. Negotiate to maybe lease to own the name, and work out a payment plan that will satisfy your seller while keeping you out of debt. This will break up the investment, so your business will be more likely to afford it in the monthly expenses. Visit spottingit.com to know more like this stuff.